Mon - Fri 9a.m. to 6p.m. We offer a variety of different workshops for all car enthusiasts! Workshops range from proper wash techniques , interior care , exterior care and proper vehicle maintenance. Workshops are usually held on weeknights after 6pm here at the shop and they are FREE! Please call or come by the shop. 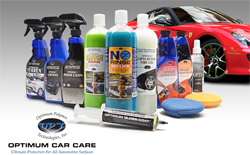 We can customize the perfect package to make your detailing more efficient, with better quality. We also mentor and coach our trained detailers after training to further enhance there knowledge of detailing. We use the newest and proven technology available in the industry today. All training is hands on in our shop. Please call or come by the shop to inquire about training and pricing.